When Key & Peele premiered in 2012 on Comedy Central, it was as close to an overnight success as any sober TV producer could hope for. The sketch comedy show that covered anything from pop-culture fandom to racial relationships, all with unprecedentedly competent production value, found even more love on YouTube where many of their brief sketches ratcheted up views in the millions. From their jocular takedown of the Obama administration to nonsensical athlete names to 80s aerobic videos, there were few rocks left unturned and a remarkable percentage of hits to misses. When the show took its bow in September of 2015, fans were predictably heartbroken to see the righteous comic duo come to an end. If Keanu is proof of one thing and one thing only, it’s at the very essence of Key & Peele will live on so long as Keegan-Michael Key and Jordan Peele continue to collaborate in any way shape or form. And that my friends is a fact worth celebrating. In essence, Keanu is an internet meme brought to life. The confluence of cute kitty videos, goofy “black people doing black people” voices and baffling parkour. Deliciously self-parodying, the two suburban African Americans haven’t so much bothered adopting their shtick to the film format so much as they’ve bent the boundaries of film to fit their very particular set of skills. What I did there is called a Liam Neesons reference. If you don’t know what I’m talking about, Keanu is probably not for you. Inlaid with a bevy of in-jokes from their show that work as fan service (but not desperately so), Keanu jams many elements of the duo’s sketches into its comic makeup. That the result doesn’t feel like a collage of greatest hits moments is impressive, as is the resultant holistic quality of the comedy and naturalness to the way the jokes transitions from moment to moment. That the film from frequent Key & Peele director Peter Atenci – who’s able to capture the more action-heavy moments quite capably – is able to weave a gangster George Michael sing-along in with the gory triple homicide without feeling narratively disparate is what makes it so gut-bustlingly good. And believe you me, this thing is stuffed to the rims with laughs. That being said, its rooting in sketch comedy is apparent as is the fact that these two work off one another’s energy in the moment moreso than they stick to the script, but that is not necessarily a bad thing, especially in the hands of these two masters of the format. In fact, it’s most often Keanu’s greatest strength. To backtrack, Keanu starts with Clarence (Key) sending his wife and daughter away for a little weekend R&R. Utilize this time to really unwind and be yourself, his wife pleads of the straight-laced Clarence, who takes the opportunity to hang out with cousin Rell (Peele), who himself has been in a bit of a rut after being dumped by his girlfriend. Tides turn when Rell opens his door to discover what might possibly be the cutest kitten to ever grace the face of this earth. The two strike up an immutable bond over a bowl of milk and over the course of two weeks, Rell relishes each and every moment spent with the cuddly ball of fluffy love known as Keanu. Rell and Clarence return home from an action movie they’re super psyched up about to discover Rell’s apartment has been tossed and the cherished Keanu is missing. Realizing that Bliptown gangsters mistook their pad for the drug dealer’s living next door (a cornrowed Will Forte), the two decide to get Rell’s feline friend back by any means necessary. This means accidentally falling into roles impersonating thug assassins, The Allentown Boys, in order to get close to Cheddar (Method Man) who himself has grown fond of the captured kitty. 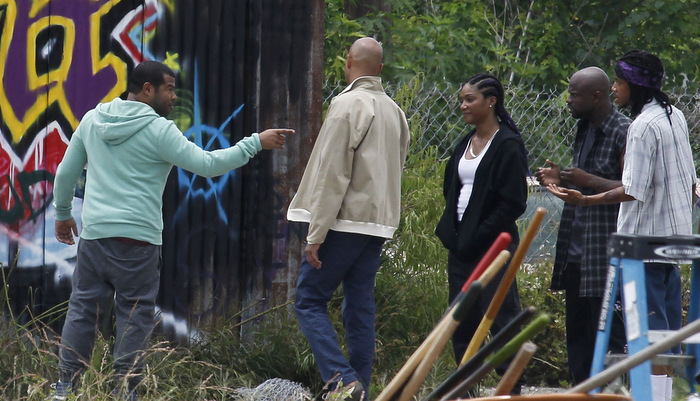 As the ludicrously monikered Tectonic and Shark Tank, Key and Peele mock the identity of gang culture mightily, taking down the agro inner city subculture with hysterical, n-word-loaded satire. Their jabs waffle between strong-armed broad swings and needle-like precision. What remains vigilantly on guard is the consistency of their well-worn chemistry, making for rowdy interplay that feels spur of the moment, wholly natural and as snug as your favorite pair of jeans. Their greatest asset – their silly but acidic improvisational skills – is especially noticeable in the give-and-take the performers share with one another. Also the adorable kitty. 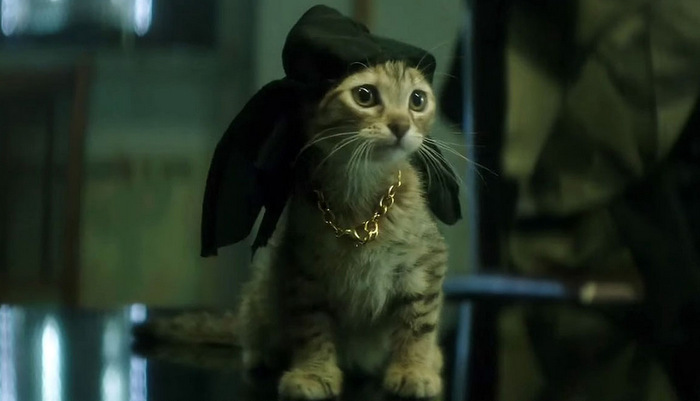 CONCLUSION: Catnip for Key & Peele fans, ‘Keanu’ is a daffy laugh-a-minute concept comedy meets YouTube video; definitive proof that the sketch comics’ careers are far from over – and may in fact just be beginning anew – now that they’ve exited the world of television. This entry was posted in Out in Theaters and tagged Jordan Peele, Keanu, Keegan-Michael Key, Method Man, Out in Theaters, Peter Atencio, Reviews, SXSW 2016, Will Forte. Bookmark the permalink.